Search by keyword to get answers quickly or browse some popular topics below. What types of vehicles do you supply? We are able to supply almost every make and model of vehicle available in the U.K. – all at highly competitive prices. How long does it take to arrange finance? We usually have a response from our finance partners within a few hours. In most cases, it is within 24 hours. Can you tell me what checks are carried out when I apply for finance? Your address, status on the Electoral Roll, bank details, employment history and previous credit history are confirmed, in addition to other standard credit requirements. I have County Court Judgements/defaults. Can I get finance? This is subject to status and a credit search, and is dealt with on an individual basis. How long can I take finance on a vehicle for? Finance is available for up to 5 years. What is the shortest period that I can take finance on a vehicle? The minimum finance term is 12 months. Do you offer leasing as well as Hire Purchase? Yes, we have a very competitive range of leasing and Hire Purchase packages – full details are available upon request. For Hire Purchase, deposits start from just £250 on most vehicles. For lease agreements, we require one months’ payment up front + VAT, plus a small administration fee. For all factory-order vehicles, a minimum of £500 deposit is required. Payments are collected on a monthly basis via a direct debit facility. This depends on your deposit, the price of the vehicle you have purchased, and the length of the finance agreement – full details are available upon request. Do I need to pay a “balloon” payment at the end of my Hire Purchase term? No – you automatically own the vehicle at the end of the agreement, subject to a £50 “option to purchase” fee. Can I hand the car back if I do not want it any more? This is not possible, but should you wish to settle your finance agreement, or part-exchange your vehicle before the end of the term, we would provide you with an early settlement figure in order for you to pay the outstanding balance and take full ownership of the vehicle, or trade the vehicle in against another. Can I change my vehicle during the term of the agreement? You can either settle off or change your vehicle at any time during the term of the agreement. Do you sell new and used vehicles? We can supply a large range of both new and used vehicles – full details are available upon request. Do I get a choice of colours? 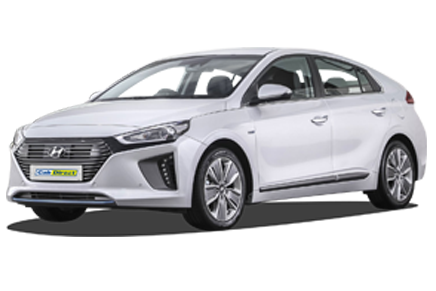 Of course – all of our new vehicles come in a variety of colours, in addition to a full range of optional extras – full details are available upon request. I want to see the vehicle before I buy it. Can you arrange this? In most cases yes, we have a team of Area Sales Managers across the U.K. who are available to visit you at home or at work, individually or for a group demonstration. They can show you every aspect of the vehicle, answer any questions you might have, and are also able to offer part-exchange values for your current vehicle. Yes, we have a wide range of 9, 12, 15 or 17-seater minibuses available. We can also supply wheelchair-accessible conversions on request. What happens if I require a wheelchair-accessible conversion, or any other alterations/modifications? Our vehicle adaptation and minibus division can provide you with a full quotation for any additional requirements you may have – full details are available upon request. Would my vehicle need to be passed by my local council in order for me to use it as a taxi? In some cases, council approval is required, however, we have an extensive list of councils who have already passed our vehicles – full details are available upon request. How long do I have to wait until delivery of my vehicle? This depends on the make and model of your vehicle, whether or not it is in stock or a factory order, and any additional extras/adaptations you have requested. If your vehicle is in stock, delivery time is usually between 10-14 working days after we receive signed paperwork back from you. If your vehicle is a factory order, you will be given an approximate date when you place your order, which we will confirm with you once we have received confirmation of the exact delivery date. Will the vehicle be delivered to me? Yes – your vehicle is delivered to any address you request in the U.K. mainland, free of charge. Do I need to supply an insurance cover note to take delivery of my vehicle? Yes – a fully-comprehensive cover note is required. The supplying dealer will contact you to arrange this prior to delivery of your vehicle. Can Cab Direct help me find insurance? Yes – we work with several companies who can provide you with a range of highly competitive quotes – please click here for further details. Do I have to go to a main dealer for all of my vehicle servicing? No – any VAT registered garage is able to carry out servicing on your vehicle, providing that genuine manufacturer’s parts are used. Do I have to come to Glasgow for my vehicle servicing? No – any main dealer or VAT registered garage in the U.K. is able to carry out work on your vehicle, provided that genuine manufacturer’s parts are used. Are my servicing costs covered in the finance package? No – these costs are your responsibility, however, Cab Direct does offer this service in Glasgow and the surrounding area at very competitive rates. PEUGEOT VEHICLES ONLY – I own a Peugeot with an HDi engine. How often do I need to service my vehicle? PEUGEOT HDi VEHICLES ONLY – Tell me more about the 6,000 mile intermediate service. This service must be carried out by a main Peugeot dealer, and is free of charge. PEUGEOT VEHICLES ONLY – Explain the spanner light on the dashboard. This light indicates that your vehicle is approaching its next service. Refer to your owner’s handbook for further information. Please do not depend solely on this indicator as the service intervals may be different if your vehicle is being used as a taxi. What warranty do I get with a new vehicle? All of our new vehicles come with the manufacturer’s unlimited mileage warranty, which can vary in duration. 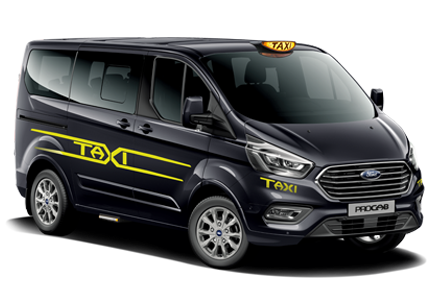 Additionally, a selection of our new, purpose-built taxis come with a free 5 year unlimited mileage warranty. The manufacturer’s warranty covers all parts and labour (with the exception of wear and tear items, such as tyres, brake pads and windscreen wipers). The extended warranty covers all major mechanical parts, such as the engine, gearbox and casings. Full details can be found in your warranty book. I have purchased a new Peugeot vehicle. Do I receive breakdown cover? Every new Peugeot comes with 1 years’ AA cover. This extends to 3 years for a new Peugeot E7 XS. I have purchased a new Fiat Freedom. Do I receive breakdown cover? Every new Fiat Freedom comes with 3 years’ AA cover. Can I use any VAT registered garage for warranty repairs? No – the vehicle must be repaired by a main dealer. Where do I find the policy number for my Cab Direct Extended Warranty? The policy number is located at the top right-hand side of the sheet inside the rear page of your extended warranty booklet (Warranty Holdings policies). For AMG warranties registration and chassis number will suffice. I have purchased a taxi from Cab Direct with a meter and taxi sign. Do I have to arrange to have it fitted? We are able to supply and fit taxi meters and signs within our service division. Alternatively, you can take them to a fitter of your choice, should you wish to do so. PEUGEOT HDi VEHICLES ONLY – How often do I need to replace my Cam Belt? The cam belt needs to be replaced every 72,000 miles. See your Peugeot servicing handbook for further details. Can my VAT registered garage repair any warranty work on the adapted sections of the vehicle? Yes, subject to conditions. For further details contact AMG Warranties Ltd on 0870 240 4270. Is the E7™ available in automatic? At the time of writing, the E7™ is not available in automatic. However, keep coming back to this site for updates should this change. Do you supply wheelchair accessible vehicles? Yes, we can supply a wide range of vehicles with full wheelchair access. For Hackney drivers, the new Peugeot E7™ has been built and tested to M1 specification and has European Whole Vehicle Type Approval. For private users, the new Fiat Freedom™ and Peugeot Eurobus™ have achieved motability accreditation, providing people with affordable vehicles designed to suit their requirements. We are also able to provide a range of wheelchair-accessible minibuses – full details on all of these vehicles are available upon request. Can I get an automatic wheelchair accessible vehicle? Yes, after listening to our customers, our sister company, Allied Mobility, has introduced a fully-wheelchair-accessible, automatic – the Renault Autograph™ For further information on this brand new vehicle, click here. I would like information on your products and services. We have a full range of brochures on all of our products and services, which we can supply to you. Please call our customer services team, who will be happy to send you brochures, as well as provide written quotations by post, fax or e-mail. Click here to find our brochures. I would like a part-exchange on my current vehicle. Please call our customer service team, who will arrange for one of our Area Sales Managers to contact you in order to organise a visit. Click here to find out what your current trade in is worth. All of our vehicles are sold via lease/hire purchase agreements, or are cash sales. However, you can rent vehicles from our sister company, Allied Mobility. Click here for more information on Allied Mobility’s Open Road rental scheme. I know someone who wants to buy a car, should I get them to call you? Yes! Call to tell us who they are, and if we sell them a vehicle on the back of your referral, you’ll receive £100 after they’ve taken delivery of their vehicle! Click here to find our Referral Reward Scheme. I need to contact Digitax with regards to my taxi meter. How can I do this? You can contact Digitax on 0191 296 1294. Ask for Steve or Debbie, who will be happy to help you. I need to contact Peugeot. How can I do this? You can contact Peugeot customer service on 024 7588 4000. Alternatively, click here for Peugeot’s website. Can Cab Direct provide finance? Yes, we have a large range of competitive finance packages designed specifically to suit your individual requirements – full details are available upon request.